If you haven’t yet opened a web-to-print storefront for your printing business, this may be the year to do so. While Amazon Prime Day draws attention to the growth of B2C e-commerce, the continuing growth of B2B e-commerce receives much less publicity. As consumers grow more comfortable researching and buying all types of products online, it’s only natural that they would expect to be able to order business products online too, including marketing collateral, signs, labels, and promotional products. According to Forrester analysts, the B2B online retail market is expected to grow to $2 trillion by 2020. B2B e-commerce is typically regarded as a more complicated process than B2C e-commerce, primarily because higher-cost purchase decisions typically involve more than one decision-maker. Even so, it’s important that you start learning how to make B2B e-commerce work for your business. A path-to-purchase research study published by Google confirmed that many employees other than C-suite executives influence B2B purchasing decisions. The study also found that a rising percentage of Millennials are involved in conducting B2B product research and influencing B2B business decisions. Millennials will often use mobile devices for research and expect to be able to get instant responses to requests for more information. Online ordering will never totally replace more traditional methods of print buying, But it will definitely supplement it. Many big organizations are already evaluating the benefits and feasibility of cloud-enabled digital supply chains. Start with test programs for existing clients. You don’t have to make all of your products available for online ordering immediately. An easy-to-implement pilot program can help you work out some of the glitches you might not have anticipated. You can continue to refine your web content and ordering processes as you gain experience. Make sure your web-to-print storefront is user-friendly, even on mobile devices. Procurement officers who responded to a survey conducted by the digital marketing and e-commerce consultancy Avionos said an online customer portal is critically important to select a supplier of business products. The procurement officers said they want suppliers to provide detailed content about each product so they can have more confidence in the business products they were purchasing online. Choose a cloud-based e-commerce program that can be customized, updated, and scaled up as needed. 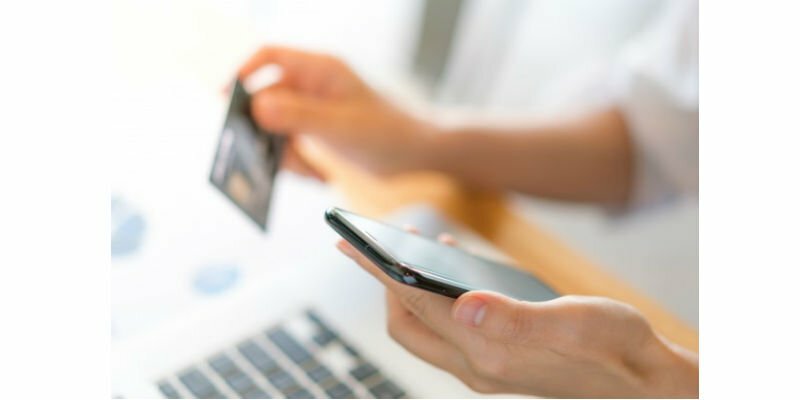 Your storefronts must be flexible enough to keep up with continuous changes in mobile platforms and operating systems, privacy and sales tax regulations, security requirements, SEO algorithms, and online payment systems. But the software should also be easy enough to use that your print shop employees can update the merchandise, pricing, product descriptions, and product images. Ordant offers B2B and B2C web-to-print storefronts that are seamlessly integrated with modules for estimating and order management. Integrating a third-party web-to-print program with your existing Print MIS software can be a real headache. Publish educational content on your website so your customers can easily find answers to any questions they have about products they want to order. Include quality photos or videos that show how the graphic should be set up or installed. Include close-up photos of printed products that have a textured surface. Offer to send a few print samples to online customers who want to examine and feel the type of print they are considering. Make it easy for customers to connect with your print shop on a variety of channels including phone, email, text, social media, and online chat. No matter how much educational content you include on your e-commerce site, customers will always have questions or want a design or technical advice. This is particularly true if you offer a wide assortment of different products and your customers aren’t experienced at designing for print or buying printed materials. If you plan to open a public storefront for your business, learn how to make it more visible online. As B2B e-commerce expands, many potential buyers of business printing may expect to place online orders with whatever print shop they choose. Find SEO and social media marketing consultants who can train your staff on how to promote an e-commerce website. Your staff must learn how to use the social media tools and keywords that your targeted customers are most likely to use. Opening your print shop up for B2B e-commerce will be an ongoing process. So you shouldn’t start with the most complex, robust program right off the bat. You can simplify your learning curve by using the B2B (or B2C) storefronts that can be easily integrated into Ordant’s software for estimating and order management.